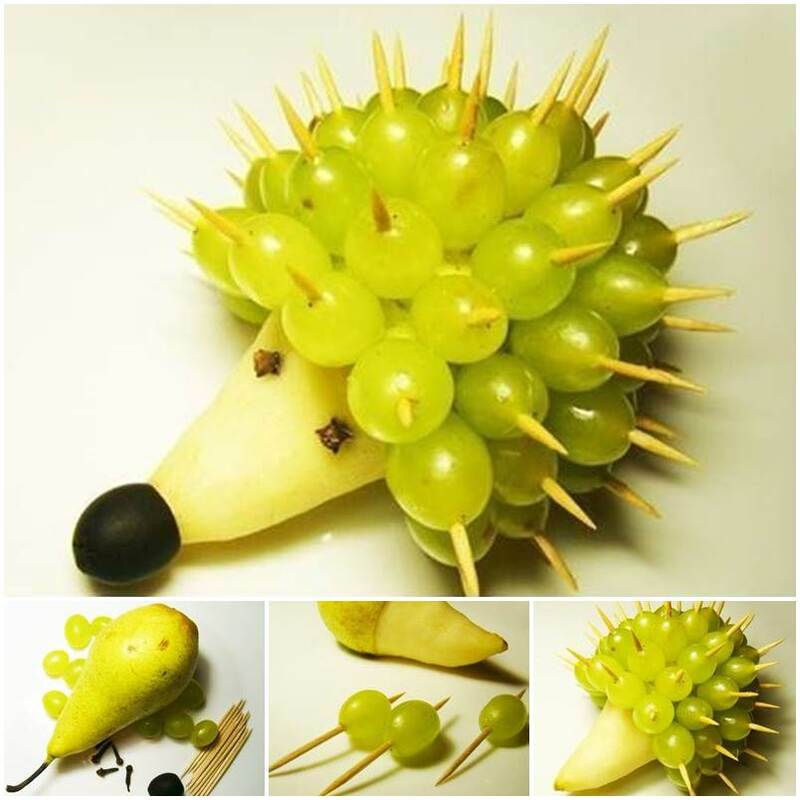 There are many creative and fun ways to serve fruits in cute animal shapes, such as the the orange crab that I featured a few days ago. 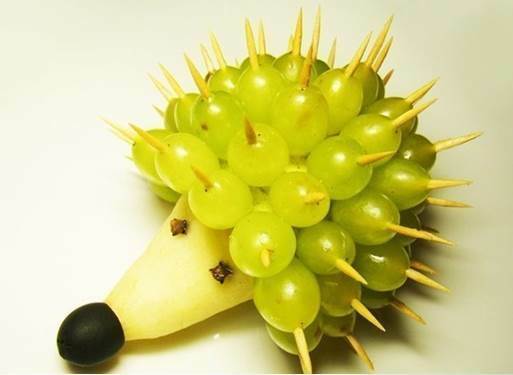 Now let’s make a fruit hedgehog! It looks so real and adorable! 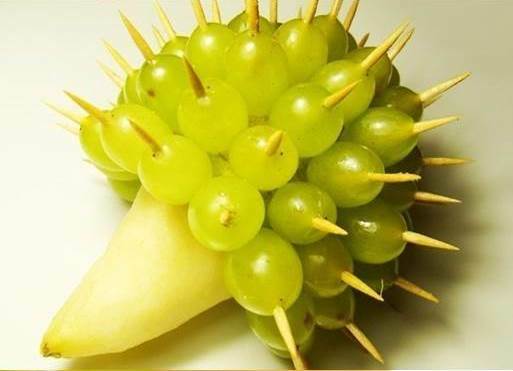 Try this in your next party. I am sure everyone will be impressed! 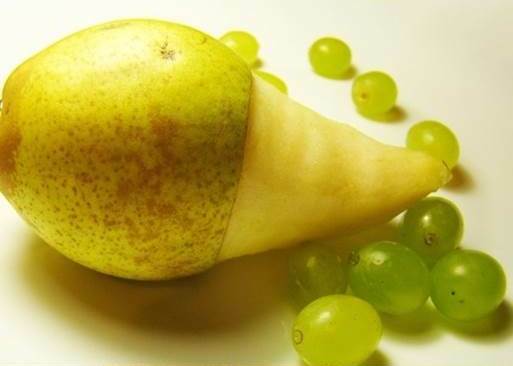 Peel the upper part of the pear. 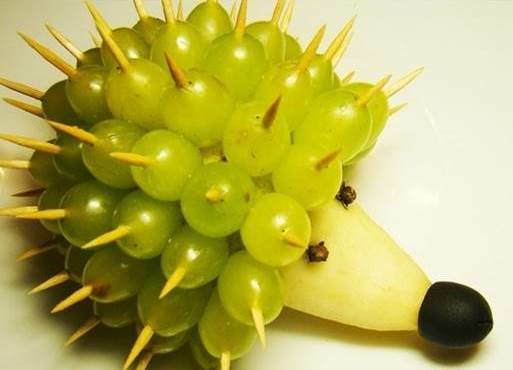 This will be the snout of the hedgehog. 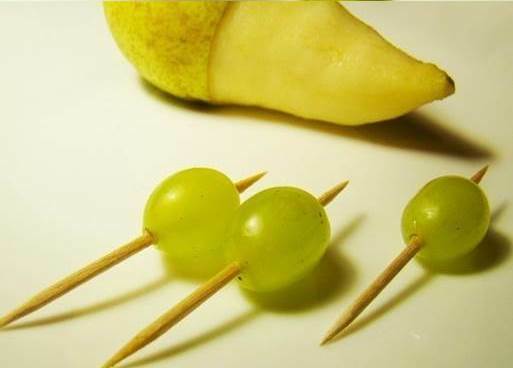 Skewer the grapes with the toothpicks and poke them on the bottom part of the pear. 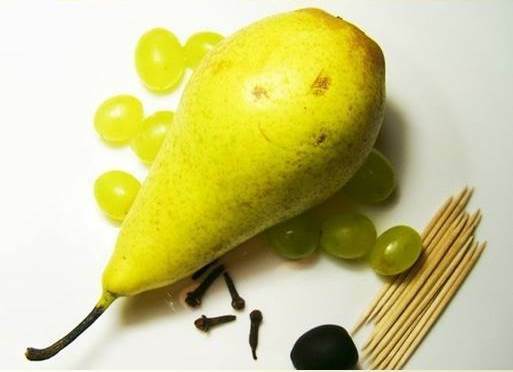 Poke two cloves to make the eyes. 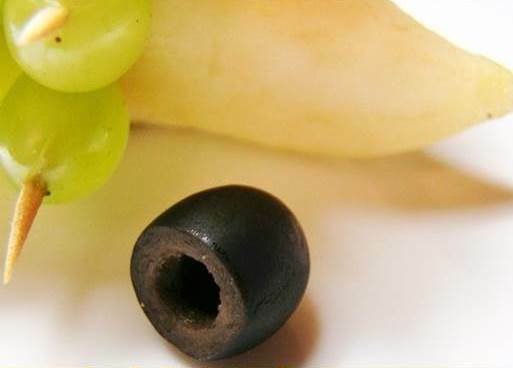 Cut the olive in half and use it to make the nose. Enjoy!